Stanley W. Tucker has more than 30 years of diversified business experience with a strong emphasis on lending, venture capital investing and the development of socially or economically disadvantaged small businesses. Mr. Tucker is President, Chief Executive Officer and co-founder of Meridian Management Company, Inc (MMG). The firm manages four comprehensive program funds: the Maryland Small Business Development Financing Authority (MSBDFA); Maryland Casino Business Investment Fund (MCBIF); Community Development Ventures, Inc. (CDV); and MMG Ventures, LP (MMGV) which provides its clients with every opportunity a company needs to grow and succeed. Mr. Tucker also serves as the Managing Partner of MMG Ventures, LP and President of Community Development Ventures, Inc. 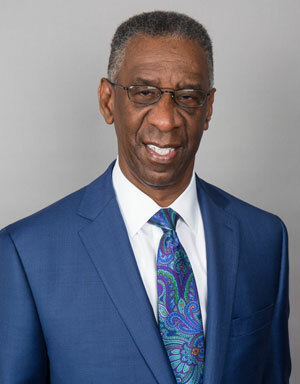 Prior to forming Meridian Management Group, he was the Executive Director of the Maryland Small Business Development Financing Authority (MSBDFA), 1981 to 1995. MSBDFA is a self-sufficient state agency that assists socially or economically disadvantaged businesses. Combined, MMG managed programs have provided over $232 million financing to small, minority, and women owned businesses located in Maryland..
Mr. Tucker provides the vision for the overall organization. He is involved in the marketing strategy; initiating, structuring, syndicating and monitoring of investments, as well as review of financial reports and financial plans for MMG and its family of funds. He will be materially involved in the analysis, review and approval of investment proposals, and the continual monitoring of portfolio investments..
Mr. Tucker was Vice President of the Park Heights Development Corporation (PHDC), a community-based economic development corporation located in one of Baltimore's highest crime and unemployment areas from 1980 to 1981. At PHDC, he raised $1.2 million for the first stage development of a community industrial park and garnered additional funding for a community business loan fund, which he oversaw. Prior to joining PHDC, he was a credit analyst for Equitable Trust Company of Baltimore..